The Anti-Colonial Committee has been involved in a number of efforts to oppose Bill C-10, which would amend the Criminal Code and criminalize the tobacco trade. On February 22, 2014, ACC members Mike Leitold, Audrey Huntley, and Stephen John Ford spoke alongside Johnathan Garlow, Shawn Brant, Audrey Hill and Joe Deom at a gathering of more than 200 people at the Six Nations Polytechnic to discuss the controversial law. Find coverage of the event on the Two Row Times, BASIC news, and APTN. 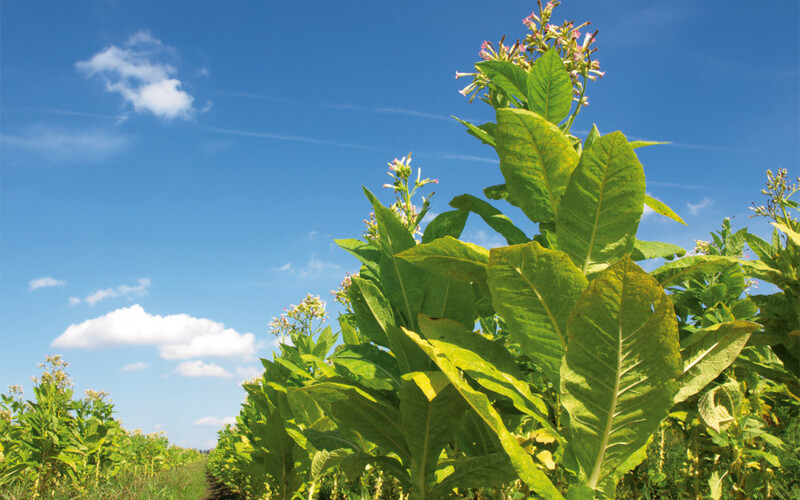 The content of this article was put together from the Legislative Summary of Bill C-10: An Act to amend the Criminal Code (trafficking in contraband tobacco) and the testimony of witnesses at the Parliamentary Committee hearings. The Federal Government introduced Bill C-10 in Parliament through Justice Minister Peter MacKay on November 5, 2013, and it was discussed at the Parliamentary Committee on Justice and Human Rights on December, 3, 5, 10, and 12, 2013. The Bill will amend the Criminal Code to include a section on the possession and trafficking of contraband tobacco. Contraband tobacco is defined as any tobacco product that does not comply with the relevant federal and provincial statutes. Importing, stamping, marking, manufacturing, distributing and paying duties and taxes on such products are all regulated by statute. The RCMP considers the definition of contraband tobacco to include product to be sold on First Nations’ reserves that has been diverted to the wider market. The RCMP believes that certain businesses on reserve are major distributors of contraband tobacco and that considerable amounts of contraband cigarettes are manufactured on reserve in unlicensed factories. Properly taxed cigarettes that are legal to sell in Ontario have a yellow band that clearly shows: Ontario, Canada, Duty Paid, Droit Acquitté. In Ontario, some on-reserve retailers are authorized to purchase limited quantities of cigarette packages to be sold only within their first nations communities and to first nations consumers, as defined under the federal Indian Act, for their exclusive use. However, it is clear that these smoke shacks on Highway 6 and elsewhere in the province are strategically located so that non-natives can purchase untaxed cigarettes, which is an illegal act. While anyone can smuggle or sell contraband cigarettes, the activity in Ontario is often tied to residents of various first nations communities. This can complicate enforcement, as the issues can be compounded with claims related to treaty rights and traditional native practices. Though anyone other than a Status Indian is supposed to pay all taxes if they purchase tobacco products on reserve, this does not always occur and certain businesses on reserve are major distributors of contraband tobacco. Currently, prosecutions for contraband tobacco-related offences can be conducted either under the Excise Act, 2001,or under a number of general provisions in the Criminal Code. Under the Excise Act, 2001, certain contraventions are already subject to fines and imprisonment for up to five years. Currently, no specific offence relating to “contraband tobacco” is found in the Criminal Code. Prosecutors have an array of offences at their disposal to assist in the prosecution of some tobacco smugglers, including fraud, conspiracy, money laundering, etc. In comparison, all police forces may enforce Criminal Code provisions. By creating specific provisions on contraband tobacco in the Criminal Code, similar to the ones found in the Excise Act, 2001, the amendments proposed in Bill C-10 ensure that all police forces are mandated to pursue these new specific tobacco offences. “This proposed act will give us more tools. It will allow our officers to act differently. Now that it will be considered a criminal offence, they will be able to investigate further than they can at the moment any time they pull someone over. At the moment, provincial law does not allow us to become involved unless we have probable cause. With the bill, they will have more power along those lines. The bill proposes amendments to the Criminal Code in order to provide for a new offence of trafficking in contraband tobacco. The particular activities that are prohibited include the offer for sale, possession for the purpose of selling, as well as distributing and transporting of such tobacco. On indictment the maximum penalty is up to five years’ imprisonment, and on summary conviction it’s up to six months. However, it does provide for mandatory minimum terms of imprisonment for individuals who have been convicted of this particular offence for the second or subsequent times. For a second conviction it’s up to a minimum of 90 days. For a third conviction it’s up to 180 days of minimum imprisonment, and then for a fourth or subsequent conviction it’s up to two years less a day. In order to have these penalties imposed requires the presence of or the involvement of 10,000 cigarettes or more of contraband tobacco, or 10 kilograms of raw leaf tobacco, or 10 kilograms of any other tobacco product. Under the 2001 Excise Tax Act, only the federal government may prosecute this offence, whereas under Bill C-10, the federal government and the provinces may do so. So practically speaking, it’s likely that the RCMP will lay charges and the federal prosecution service will prosecute in many cases, and in other cases, either form of law enforcement will lay a charge and then the provincial prosecutors will prosecute. If the problem is much more serious in one region than another, it is possible that more minimum sentences will be imposed. I am not concerned about that. This corresponds fairly well to the usual discretion the prosecution enjoys.